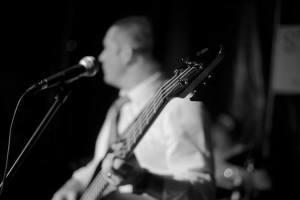 We are an experienced 4 piece covers band based in the Greater Manchester/Lancashire area. 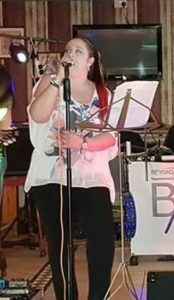 Established in early 2014, the band consists of Lorraine on Drums, Dave on Bass/backing vocals, Howard on Guitar/backing vocals and Nicola on lead vocals. All our members are experienced musicians and have many years experience in the industry having played in other bands over the years. The band can play at venues in and around the North West. You can find a complete repertoire of our songs on our set list page, which is updated regularly so please keep checking back. 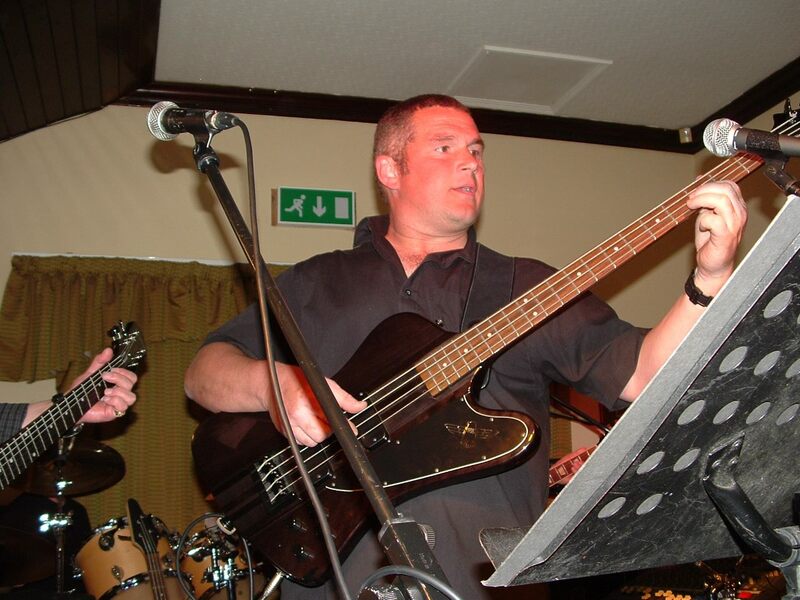 We can vary the set list to suit your requirements on the night and if you have any special song requests please let us know in advance and we can try to play it for you if we are able to. We are also able to offer a disco service during the times when the band isn’t playing – please ask for details. We are available for any occasion from pub nights, private parties, functions and weddings and can tailor the night to your needs. Born into a musical family, David started his playing career at 13 playing in touring shows. Upon leaving school he moved onto drums and performed on tour as well as TV and Film. In the early 1990’s he started working with sequencers and sampled sounds before moving on arranging music for various bands in the late 1990’s. At this point he started teaching students in brass and percussion before moving onto bass as his main instrument in 2010. David has a keen interest in electronics in music and can regularly be found arranging new songs and working with sequencers and samplers. 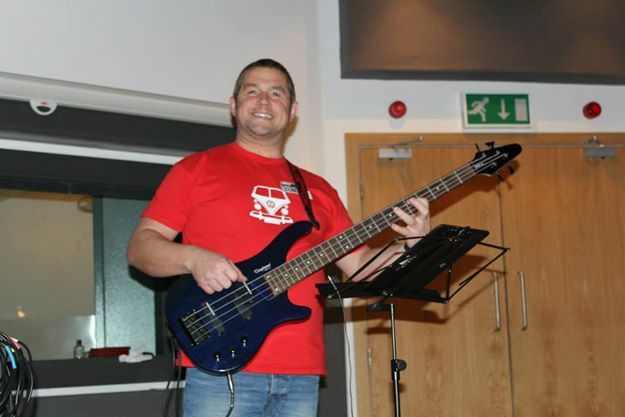 While on drumming gigs he regularly uses real time midi control from his drum kit. 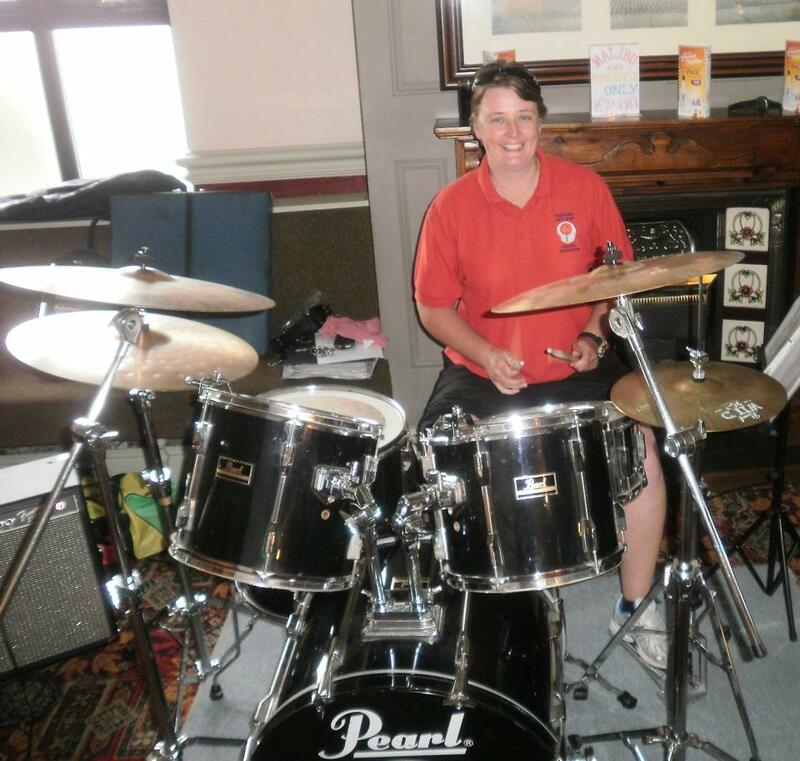 Lorraine has been musically minded from an early age and has always enjoyed playing music for fun. Lorraine plays various instruments including piano, guitar and drums. She has played drums in several bands over the years and has some studio experience. 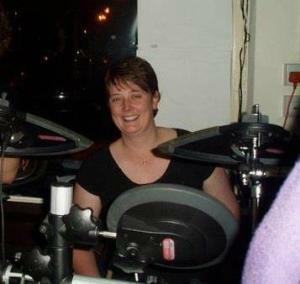 Lorraine can play an acoustic or electric kit on gigs which gives the band much more versatility as this enables the band to play smaller venues or play quieter gigs if the venue requires. 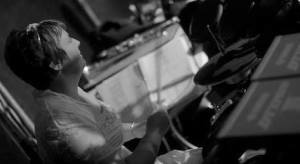 Lorraine is also able to play to a click track. Howard has played the guitar for more years than he cares to think about. 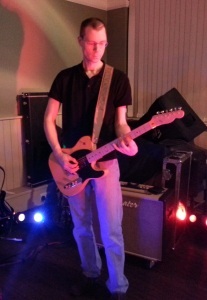 Inspired by the high-octane playing styles of Stevie Ray Vaughan and Jeff Healey, he has been a member of various blues, funk, indie and pop bands over the years. Aside from music, he loves cats, movies, pizza and rugby, although not necessarily at the same time! Nicola started singing when she was 17 years old, performing on local karaokes and entering singing competitions. 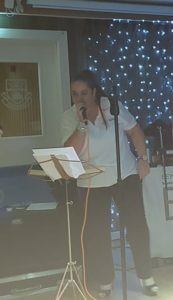 Nic spent a few years learning her trade as a singer, performing in local pubs and clubs before becoming a DJ/karaoke for over five years on the local pub scene. Nic decided to further her trade and became the lead singer in a band and has never looked back having found her niche. Nic brings great energy and an amazing voice that allows her to sing any genre of music.